Fujifilm Canada contacted me a few weeks back. The title of the email: Shhhhhhh! They were wondering if I was interested in reviewing a pre-production model of the latest X series camera, the X-T10. I've always preferred reviewing production ready cameras so I could immediately see the final image results (you can not post pre-production images, plus the firmware is rarely if ever finalized). However, I knew it would basically have the same sensor as the X-T1, X100T and X-E2, plus I was super curious about the new baby brother to the X-T1. I wanted to know how it would feel in the hands and how it would shoot on the street. This was the most important thing I wanted to test anyway, so I decided I would take up the offer and play around with the pre-production X-T10. What did I think? It's a pretty awesome little camera... and yes, it is significantly (or at least noticeably) smaller in the hands than the X-T1. It actually feels like a 'pro' M43 cameras (like the OMD or GH series cameras by Olympus and Panasonic), but with a larger APS-C size sensor. The EVF is also smaller than the X-T1, but nobody expected Fuji to put the flagship mirrorless EVF into the smaller, cheaper X-T10. The view through the EVF is very similar to the X-E2, so it is adequate (I'm partial to OVFs). Shooting with it was weird because it looks like the X-T1, but once you start shooting with it, the X-T10 has its own unique shooting 'feel'. The size, the weight, the dial and button positions; everything feels familiar but different. If you've been shooting with Fuji X series cameras for a while, you'll quickly and easily feel right at home with the X-T10. For a $600 price difference in Canada (even more for the Graphite Silver edition) the X-T10 is an amazing deal for anyone looking to getting into a high performance DSLR replacement mirrorless camera. If you're coming from pro-body Canon and Nikon DSLRs, perhaps you'll be more comfortable with the solid feel and weather sealed body design of the X-T1; but the X-T10's price-performance value is hard to ignore. Did Fujifilm make this camera too good? Perhaps. Other than size, weight and rangefinder style shooting, there isn't a whole lot that the X-E2 has over the new X-T10. At only $100 cheaper, I think the X-E2 is in serious trouble, unless they give the firmware a serious overhaul (similar to X-T1's future V4.0 update). There's one feature that I know everyone is going to be talking about and other reviewers are going to test out, which is the new 'super-fast, intelligent hybrid Auto Focus with eye detection'. 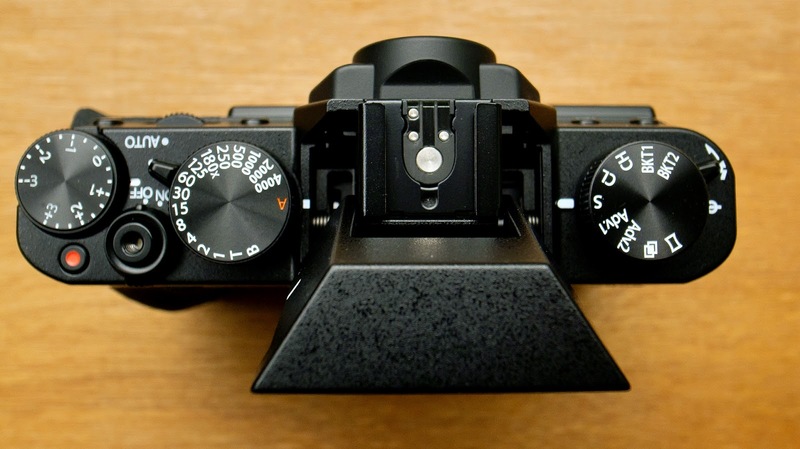 It has 49 single points (same as the X-T1 and X-E2) but with selectable 77 zone auto focus areas. You can choose the grid size and shape (7x7, 3x3 5x3 5x5) from 77 areas on a 11 x 7 grid to accommodate wide or tracking AF. Wowzers!! The pre-production model did not have the eye sensor option enabled (the firmware was not finalized) but it did have the wide predictive AF grid. It did a decent job of predicting movement, but it still tended to pick the object with the most contrast or the most movement. Moreover, if I was shooting sports, or fast action, or kids running around, perhaps it would be a big deal. For me, I find the most accurate AF is single spot, reasonable DOF and timing. I'm not really the right reviewer to test this feature, but it seems zippy and fast enough. It also has 8 fps continuous shooting (like the X-T1) but with predictive AF. There will be a firmware update to allow the X-T1 to 'catch up' to the X-T10 with this new AF feature (version 4.0), so technically speaking the performance on the X-T10 in this area will be temporarily superior. and a firm 'click' when pressed. This is not to say that the X-T1 doesn't have a few tricks up its sleeve. It has a faster card write speed and thus can shoot 8 fps in burst mode up to 47 frames (with a high speed card). It's a weather sealed body to keep dust, moisture and splashes away from the vital internals. It has the optional vertical control grip with battery pack for more versatile shooting positions and longer battery life. It has the biggest EVF of any currently available camera (not just best-in-class) with 0.77x magnification (vs 0.62x on X-T10) and the ability to have a mini secondary EVF in screen. Yes, the X-T1 is a serious image-making machine and I really love shooting with it... but so is the X-T10. So where does the X-E2 fit in all of this? It was announced in October of 2013 and I reviewed it in December of that year. It's been a long 18 months since its release and a lot has changed since then. Yes it had firmware update V3.0 back in December, but there doesn't seem to be another one that coincides with the X-T1's recent firmware update V3.10 and V3.11 and upcoming V4.0. 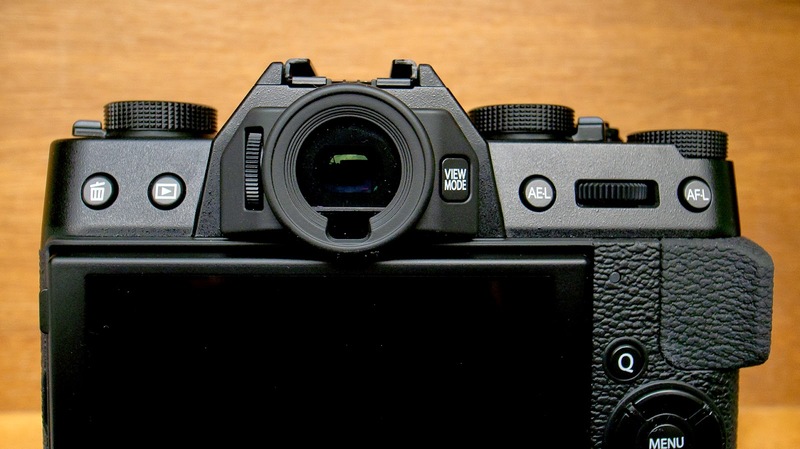 Is this the end of the X-E2? My guess is that Fujifilm will continue to make firmware updates (the X-Pro 1 even had V3.40 back in December) but nothing that will add radical updates to its current performance. Fujifilm has recently reduced the price of the X-E2 by $100, but is this enough of a savings to convince someone from not buying the X-T10? I don't think so. For an extra $100 you get an articulating screen, extra control dials and buttons, faster and more accurate autofocus, faster continuous shooting speeds, and a newer, fresher design (this is subjective of course because the X-E2 is still a beautiful looking rangefinder style body). For only a $100 difference, there's no point. For a $200 difference, then maybe. Because I have a pre-production model, I can't post any of the pictures I took with the X-T10. However, since it's the same sensor as the X-T1, X-E2 and X-100T, you're basically getting the same great image quality. For my own personal viewing I checked out the images on my computer and I can confirm they look EXACTLY the same as the other X series cameras, which is a good thing. If you own the X-E2, you're not upgrading for better pictures, just more features and improved ergonomics and functionality. If you own the X-T1 and want a second back-up body, you're really going to notice the smaller size and weight, but also improved button and dial feel, including the threaded shutter button that you can add a threaded button for improved leverage and feel. If you're new to the X system, I would highly recommend the X-T10 to be your first introduction to Fujifilm's amazing ILC system, unless you really need the extra bells and whistles of the X-T1. If you need a kit lens, get the XF 18-55mm standard zoom (best standard kit lens of any ILC system today), not the XC 16-50mm (trust me on this). If you're wanting to buy a prime lens, Fujifilm has pretty much all the major focal lengths available: 14mm, 16mm, 18mm, 23mm, 27mm, 35mm, 56mm, 60mm macro, 90mm. The only major prime lenses missing is a fisheye (10.5mm) and a telephoto (150mm), and maybe a specialty tilt-shift or defocus portrait lens. Last year I recommended to Fuji to release a non-weather sealed version of the X-T1, but this is way better. A regular non-sealed X-T1 would have been the same price or maybe $100 cheaper than the current X-T1. The new X-T10 is a full $600 CDN cheaper (or around $500 USD) but maybe only a 10-15% performance-feature loss. That's serious performance value in favour of the X-T10. An extra bonus is that you can get the silver X-T10 without paying a premium, unlike the X-T1 Graphite Silver Edition ($200 extra, although technically it's not just silver, but 'graphite silver'). I will be receiving a full production model in the next few weeks and I will really put the camera to the test. I also have the new XF16mm f/1.4 WR lens, but I like the balance of the XF14mm f/2.8 on the X-T10. I'll test both lenses and let you know soon how it feels while out shooting on the streets. Both lenses are great so it's a matter of shooting style and taste, and both shoot equally well on the X-T10, as does the standard XF18-55mm zoom lens. Please check out my short and long preview of the X-T10 on YouTube and watch for additional pictures on my Instagram account, Twitter, and also FujiLove. Check out my quick preview of the X-T10 on YouTube here!! Check out my full 20 min preview and comparison HERE! eventually, but perhaps in a few months. I'm a bit backed up with articles and reviews. Check out my YouTube channel for my latest reviews, or Fujilove for my Fuji based written reviews. I like so much the rope gadget. Where can I find it? the silk cord strap is by a company called Artisan and Artist from Japan. 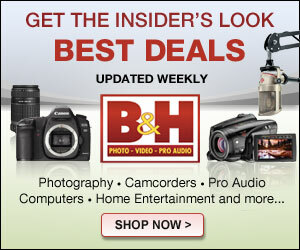 B&H Photo sells them, and also perhaps your local camera store depending on where you live. There is another brand called Sailor Strap from Poland and they make thicker and longer straps. My first post here but love your work! I'm in the market for a camera strap and was leaning towards the A&A ACAM306 silk strap due to the longer lenght (I like to carry camera sling style). But I saw your video about what you carry in your bag and saw you mention the Sailor Strap. What are your thoughts regarding the A&A vs Sailor strap? Length, comfort, price. Thanks and keep up the good work! I look forward to more of your videos and blogs. +Mario Castillo thanks for commenting. Sorry for my late reply. I'm working on a new website which will have the same name so you won't have to do anything. Also, check out my YouTube channel for my latest reviews, as well as www.fujilove.com where I do Fuji only written reviews. As for Sailor and A&A, there's another brand called Lance Camera Straps. They are priced in the middle. I'll get my hands on it eventually, but I just picked up another brand of straps to review ( Child of Laborer ) so I don't have a final conclusion. The A&A straps are definitely premium and feel like it, but very expensive. Thanks again for your comment! Replacing the X-Pro1 with the X-T10 is a good move, although you will lose the optical viewfinder. The X-E2 is a good choice if you want to keep the rangefinder-style profile, and save some money as well. Either way, I'm sure you'll be happy! Great review. I need some advice and you seems to be the right person to ask for. 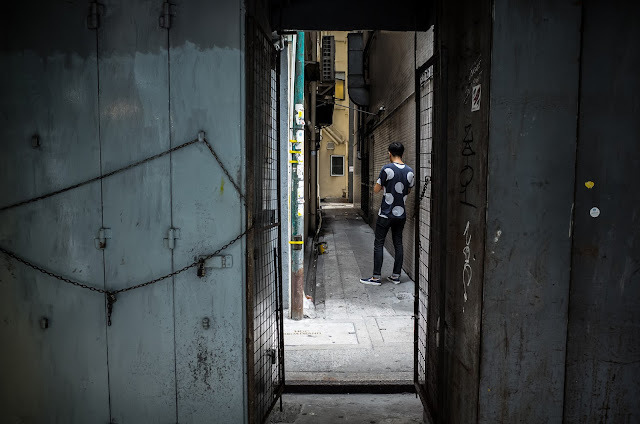 I am considering to buy the new x-t10 or the x-e2 (the x-t1 is out of my budget) for general purpose (travel, street, family, etc) but mainly for my work (Real estate photography) so I will have to buy the xf 10-24mm too. I am wondering if the x-t10 is too small to hold a big lens like the 10-24 in terms of ergonomics and comfort or is the x-e2 more appropriate. I think I will miss the tilt screen if I chose the x-e2 over the x-t10 and some other issues like the new AF system but maybe in a future firmware update for the x-e2 will get them. What do you think? Thanks in advance for you advice. The X-T10 is actually heavier than the X-E2. Overall the X-T10 is the better camera if you can afford it. The XF10-24 is a very heavy lens and will probably balance better on the X-T1, but it won't be horrible on the X-T10. As for future X-E2 firmware updates, yes Fujifilm will upgrade the AF probably sometime in the fall, but I don't know how much extra features they'll give. I guess it depends on how much stock they'll have left of the X-E2 and how good the sales are of X-T10. Sorry for the late reply. I've been busy on other small projects. Thanks for visiting my blog. Happy shooting! Thanks for your words, I ended up buying the x-t1, moré expensive than x-t10 but much better. Congrats on the X-T1. It's a great camera and definitely has a sturdier build than the X-T10. The sensor and processor is the same so the image quality will be identical, but having the extra ISO dial is great on the X-T1. Hope to see you around ! Hey Joshua, great meeting you! It was funny we had the exact same body and lens combo at the same coffee shop at the same time! Ha ha. Singapore is a beautiful country as I was there for a conference a few years back. I stayed at the Swiss Hotel downtown and it was the middle of July... HOT!!!! I loved the small districts and the efficiency of your MTR transit system. I would love to return one day and do a workshop there for all the Fujifilm fans! Thanks for your comment and I had fun talking with you. Recently discovered your very informative work. Nice stuff, greatly appreciated. 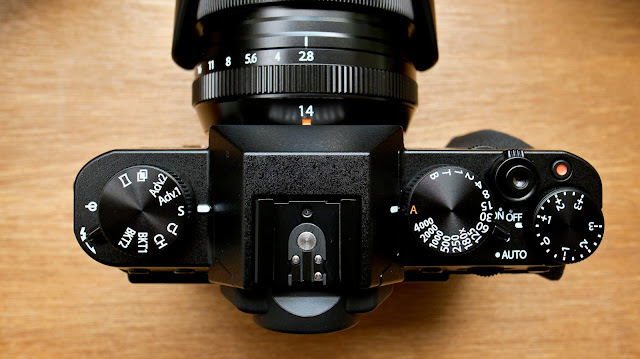 Do you know/have you heard of any plans to upscale the X-T10 sensor to Fujifilm's 24MP any time soon? I'm researching my next camera, and am drawn to the X-T10, but at 16MP, it seems to be on the back-end of the sensor-wars curve.